Base - 7 1/2" round. Shade - 16 1/2" round. 22" high. 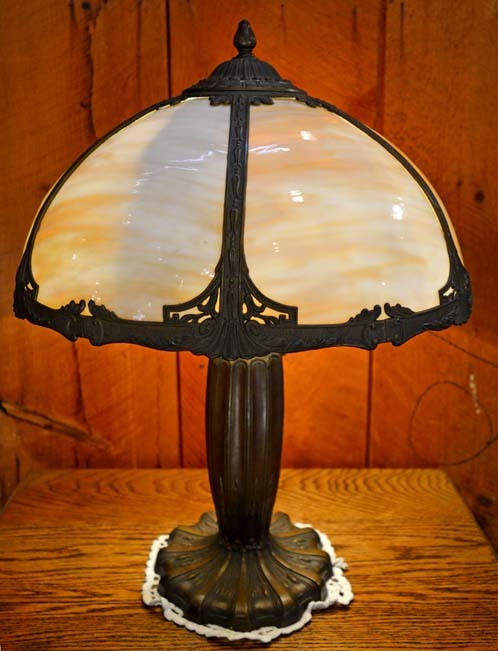 This Slag Glass Lamp has caramel glass on the 6 panel umbrella style shade. All the glass is in perfect shape and is an Art Deco design, Circa 1925. 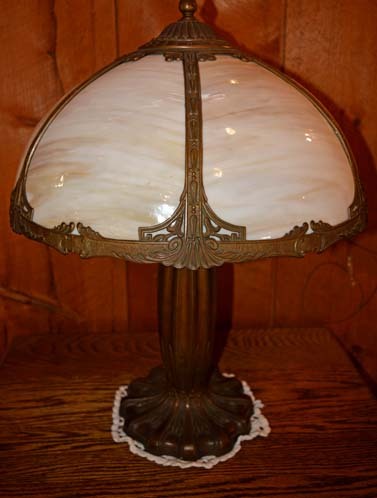 The lamp is sturdy and has matching patina on the shade and the base. This is a double socketed lamp with brass pull chains, and it has been re-wired for safety. Consider this lamp to add some ambiance to your setting.